The time has come to recognise and appreciate the CTO of the Year! 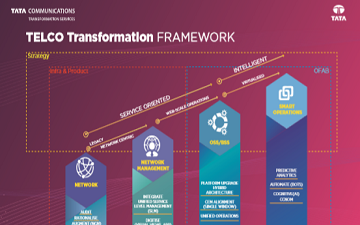 Telcos across the globe are tackling the challenges of rendering smarter, faster, efficient and virtualised digital networks.The onus to accelerate a communication service provider’s (CSP’s) digital transformation journey and drive it with minimal risk lies with its Chief Technology Officer (CTO) – undoubtedly, a tough task. 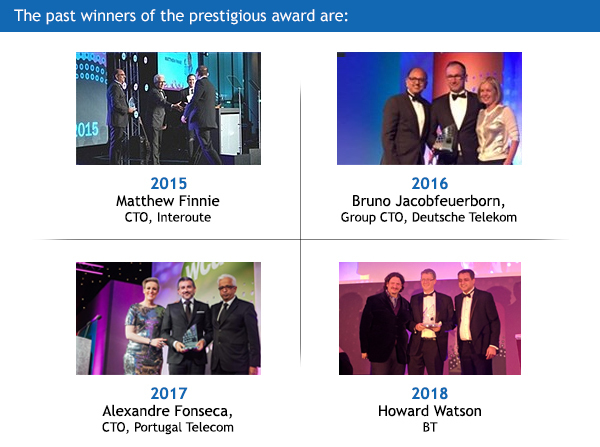 Since 2015, the Tata Communications Transformation Services (TCTS) CTO of the Year award has been recognising the transformation efforts spearheaded by the technology leaders of global CSPs, at the World Communication Awards (WCA). World Communication Awards 2019 will recognise innovation and excellence under various categories that resonate with latest trends in 5G, AI transformation, SDN/NFV and IoT. 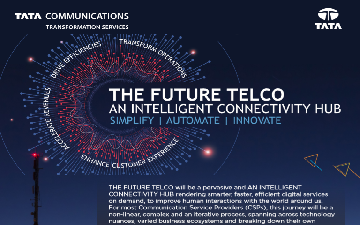 THE FUTURE TELCO must imbibe these next gen technologies to truly be an AN INTELLIGENT CONNECTIVITY HUB. If your CTO is the driving force behind your next-gen transformative initiatives, acknowledge his or her efforts at WCA 2019. Submissions close on 17 May 2019 – just a few weeks to go! Nominations will be assessed by an independent panel of judges. Winners will be felicitated on 30 October 2019 at De Vere Grand Connaught Rooms, London – where the 2019 WCA ceremony is scheduled. Why wait? Click here to nominate your CTO. You can nominate yourself too!